Initially when we launched Juststickers.in, having a global shipping option was an experimentation for us. The experimentation worked pretty well and we received a lot of orders from all the parts of the world. But a couple of months back, due to logistical issue, we stopped shipping internationally and stopped receiving payments via Paypal. 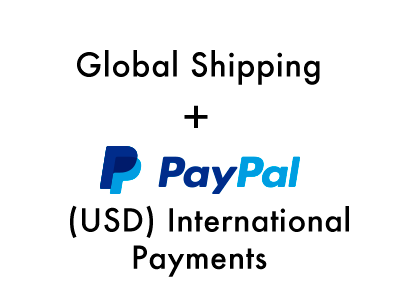 But I am glad to announce that our global shipping option is open again and we have started accepting USD($) payments via Paypal too! The delivery charges automatically update based on the shipping country and is different for each and every country. In some cases the international delivery charges are pretty high so we definitely recommend buying in bulk or collaborating with friends to reduce the shipping charges. With time, we will try to bring the shipping charges further down so that we can easily provide our epic products all around the globe. So if you are purchasing our products from any location outside India, just change the currency to USD by using the drop down at the footer (or when prompted in the country address field), fill the correct address and place the order. We normally take around 2-3 days to ship the products and international deliveries can take upto a 7 to 15 days depending on the country. Let us know if you face any issues at all.